Dayna Cox will miss Sunday’s AFLW clash with Greater Western Sydney after accepting a one-game ban. Cox was charged with two offences from Adelaide’s win over the Western Bulldogs last weekend. The in-form defender was reported for striking Bulldogs star Ellie Blackburn in the first quarter at Norwood Oval. The incident was assessed by the Match Review as intentional conduct with low impact to the body. Cox was able to accept a reprimand with an early guilty plea. The premiership Crow was booked again for striking moments later after remonstrating with Blackburn’s teammate Emma Kearney. The second incident was assessed as intentional conduct with low impact to the head. The incident was classified as a two-match sanction, but Cox has accepted a one-match sanction with an early plea. 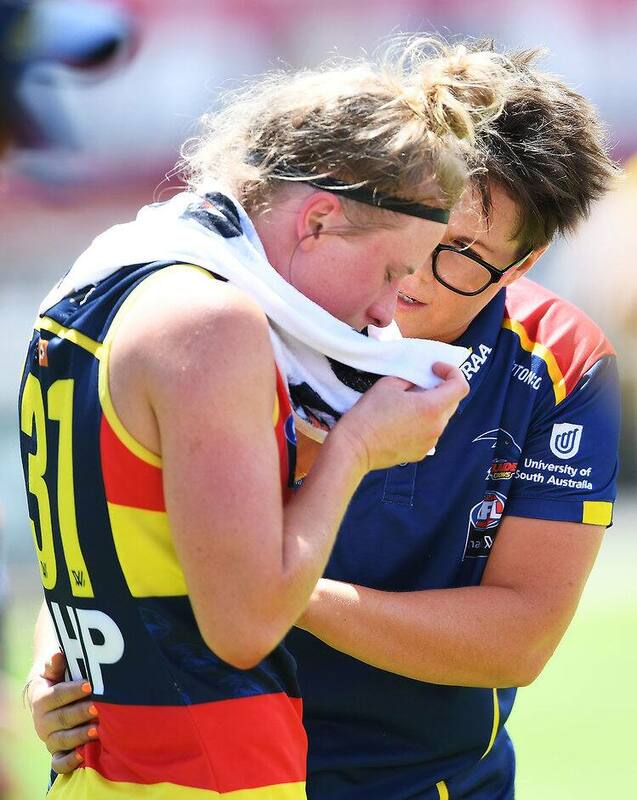 Crows forward Jenna McCormick has also accepted a reprimand. McCormick was charged with rough conduct on Dogs defender Hannah Scott in the last quarter. The incident was assessed as careless with low impact to the head, resulting in a one-match sanction. However, the forward was able to reduce the charge to a reprimand with an early guilty plea. In positive news, joint vice-captain Ange Foley is free to play against Greater Western Sydney on Sunday having served a one-game ban for kneeing Melbourne captain Daisy Pearce.